By the age of 36, music recording artist, songwriter, record producer, film director, entrepreneur, and fashion designer Kanye West had accumulated a net worth of $100 million. Today, Mr. Kim Kardsashian boasts a net worth of $145,000,000. West was born into a middle class family in Atlanta, Georgia, but soon moved to Chicago, Illinois after his parent’s divorced at age 3. His father, Ray West, a former Black Panther, was one of the first black photojournalists for the Atlanta Constitution Journal. His mother, Dr. Donda C. Williams, is a professor who help teaching jobs at various institutions before retiring to become West’s manager. Kanye demonstrated intelligence and artistic skill at an early age. Enough so to earn him a scholarship to Chicago’s American Academy of Art in 1997. He didn’t last there long as he decided to transfer to Chicago State University to major in English. It wasn’t long before Kanye decided to drop out of school completely, much to the displeasure of his mother, and focus on music. Kanye began his music production career in the early 1990’s. He focused mainly on speeding up beats from classic soul records. His first official music credits came at the age of nineteen as a producer for Chicago-based rapper Grav. West spend the next several years working with Chicago-based artists and maneuvering his way to gain more recognition for his ability. In the late 90’s he began connecting with well-known artists and groups and producing music for them. Among those artists were Foxy Brown, Nas, Jermaine Dupri, and R&B singer Carl Thomas. West’s big break came in the year 2000 when he linked up with Jay Z’s Roc-A-Fella records. West earned heavy praise for his influence on the 2001 album Blueprint that many claim revitalized Jay Z’s career. West served as the in-house producer for all the big names signed to the record label. He did well enough that he earned himself a contract with the label as an artist because then head Damon Dash feared he would lose West to another company. 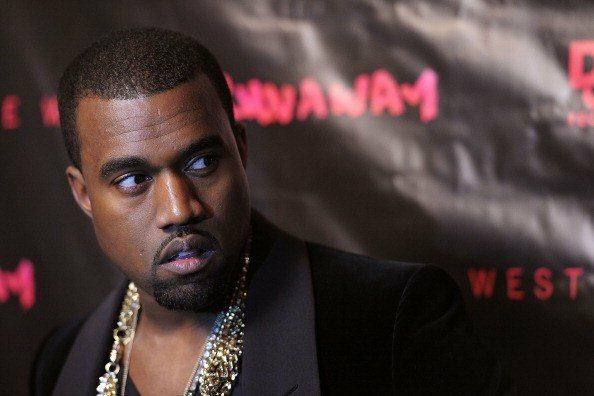 In 2002, a life-changing accident resulted in serious injury for Kanye West. He was injured in a car accident while driving in California and needed his mouth wired shut. This inspired him to truly pursue recording his own music and lead to the song Through the Wire his first major hit. After that Kanye was a hit. He record several albums including College Dropout, Late Registration, Graduation, 808s & Heartbreak, and My Beautiful Twisted Fantasy. He became a wild success in the hip-hop game and his path started towards bolstering his net worth. As Kanye became more successful he began undertaking more entrepreneurial and business activities. He opened 10 Fatburger restaurants in the Chicago area and also launched his Pastelle Clothing Line. West has also worked in collaboration with Nike to create Air Yeezys, a tribute to his sixth (and most controversial) studio album Yeezus. On a personal note, West is currently married to reality star Kim Kardashian. They have a three children together, named North, Saint, and Chicago West. This is West’s second engagement as he was dating designer Alexis Phifer for close to six years before calling it off. West is a highly criticized figure in the media. He has had several legal issues and has created a legacy as an outspoken and controversial celebrity. There’s no doubting his artistic ability. He has several platinum albums and has won 21 Grammys, an all-time record. He’s also been listed on several of Forbes’ top 100 lists including most influential celebrity.